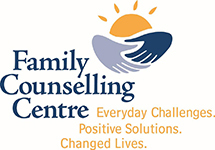 The Family Counselling Centre is a multi-service agency dedicated to strengthening individuals and their relationships with others. This is accomplished through counselling, education, prevention and advocacy. Distress Line – a telephone service that is dedicated to providing non-judgemental reassurance, emotional support and crisis intervention.Tel-Check – A daily phone call to elderly and persons with a disability to ensure that they are safe and to provide daily emotional support.Kids On The Block – A program that goes into elementary schools utilizing life-size puppets to engage children in discussion about the abilities and experiences of people who have a variety of special needs and to heighten awareness around issues such as disabilities, bike safety and substance abuse.Family and Schools Together – A prevention program that involves families and their school.Program Development – Assist in raising awareness of the agency’s programs through running special events and administrative duties.